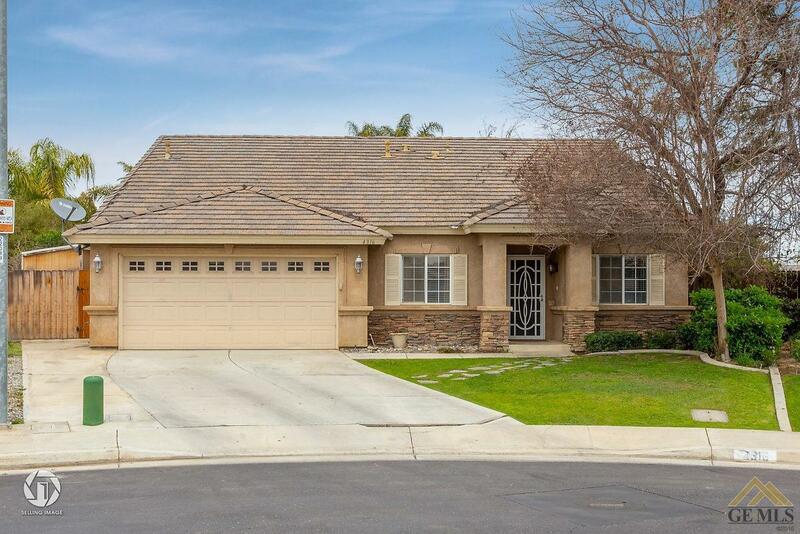 The entertainer's dream home sits on a lot that measures over 14,000 sqft, is located in the highly sought after Fruitvale/Centennial High School Districts & can be found at the end of a quiet cul de sac. The huge backyard features a sizeable heated,pebble tec swimming pool that has a rock waterfall, beautiful stamped concrete & rarely seen raised decking that gives your pool a depth of 11ft! The large lot still leaves plenty of grass area for pets & kids to play, along with a covered patio where you can find the built in bar & bbq. The bbq/bar features a gas grill, sink, mini fridge & plenty of seating for guests. The interior of the home has a great floor plan with a large kitchen that opens up to the family room & breakfast nook. The kitchen has a large island and is updated with granite counters, stone backsplash and 24 inch tile that runs throughout most of the home. The spacious master bedroom features a large walk in closet with built ins for easy organization & storage.